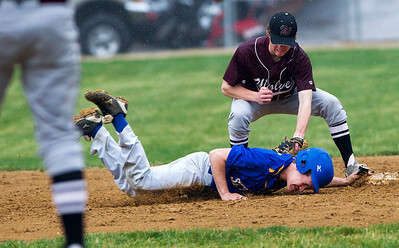 Kyle Grillot - kgrillot@shawmedia.com Prairie Ridge's Daniel Pecoraro (right) attempts to tag out Johnsburg's Dan Tylkowski during the boys baseball game Monday in Johnsburg. 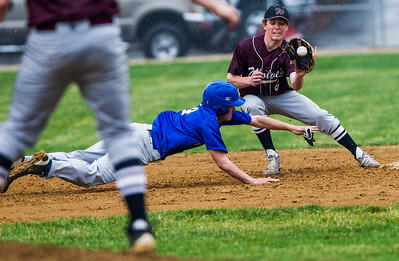 Prairie Ridge beat Johnsburg, 9-6. 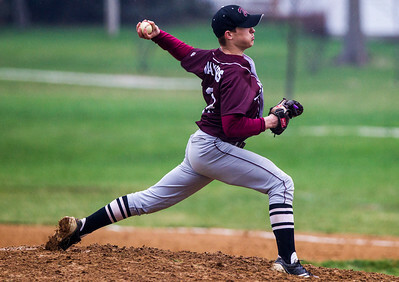 Kyle Grillot - kgrillot@shawmedia.com Prairie Ridge's Benjamin Cilano pitches during the boys baseball game Monday in Johnsburg. Prairie Ridge beat Johnsburg, 9-6. 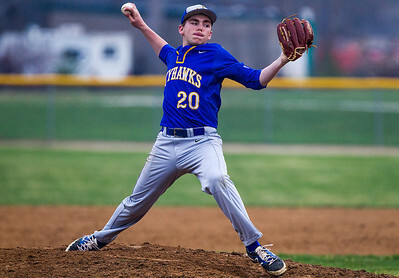 Kyle Grillot - kgrillot@shawmedia.com Johnsburg's Jake Schyvinck pitches the ball during the boys baseball game Monday in Johnsburg. Prairie Ridge beat Johnsburg, 9-6. 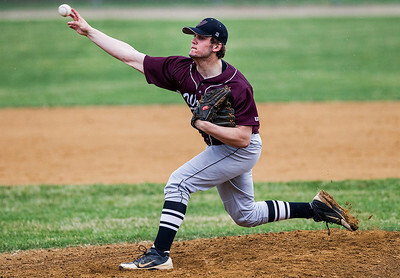 Kyle Grillot - kgrillot@shawmedia.com Prairie Ridge's Alec Walters pitches during the boys baseball game Monday in Johnsburg. Prairie Ridge beat Johnsburg, 9-6. 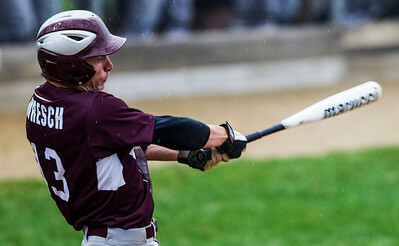 Kyle Grillot - kgrillot@shawmedia.com Prairie Ridge's Kyle Buresch hits the ball during the boys baseball game Monday in Johnsburg. Prairie Ridge beat Johnsburg, 9-6. 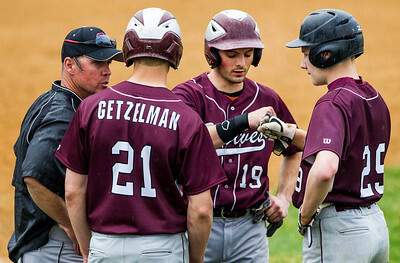 Kyle Grillot - kgrillot@shawmedia.com Prairie Ridge head coach Glen Pecoraro (left) talks with Carson Getzelman (21), Jack Myers (19), and Jon Tieman (29) during the boys baseball game Monday in Johnsburg. Prairie Ridge beat Johnsburg, 9-6. Prairie Ridge's Daniel Pecoraro (right) attempts to tag out Johnsburg's Dan Tylkowski during the boys baseball game Monday in Johnsburg. 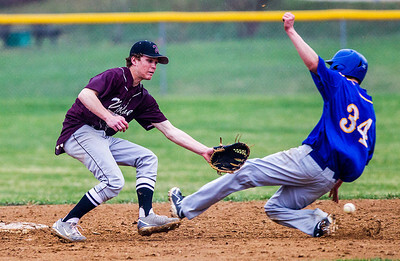 Prairie Ridge beat Johnsburg, 9-6.